Connect with animals and people. Whether you’re interested in working with animals or people, we need your help at our recently opened North Shore Adoption Center in Highland Park. Our volunteers are indispensable in every aspect of our operation, from helping us open in the mornings to supporting our closing procedures at night. They work with our adopters, our visitors and, of course, our animals, giving them love, care, socialization and training. Our volunteers also help train and mentor other volunteers. No matter your experience level, you have the opportunity to provide hands-on care for the dogs, puppies, cats and kittens of Dog Town and Kitty City. You will play with these animals, socialize them, assist with training, keep their space clean, provide adoption support and much more. 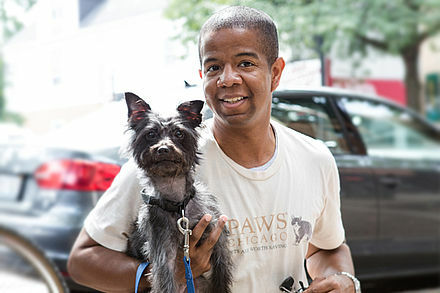 As you gain more experience, you will work with dogs and cats that need more specialized help. Every day is different and every minute makes a difference. It all starts by becoming a Dog Town Level 1 Volunteer or a Kitty City Level 1 Volunteer. Sign up for orientation today! Saving animals depends on people. People who help rescue, foster, adopt and share information about pet homelessness with their friends and family. If you enjoy helping families find the perfect pet for them and being part of that milestone moment, there are plenty of opportunities for you. Our Dog Town Level 1 and Kitty City Level 1 volunteers help potential adopters meet our homeless pets and navigate the adoption process. Our Adoption Counselors work with families looking to adopt, ensuring they have the tools and information to successfully transition their new pet to their home. Our Welcome Desk Volunteers provide outstanding customer service to our visitors, ensuring everyone has a great experience from the second they step through our doors. And our Family Services Program Volunteers help ensure volunteers under 18 and their families have a great experience as well. Join the fun today—and make a difference—by signing up for an orientation.